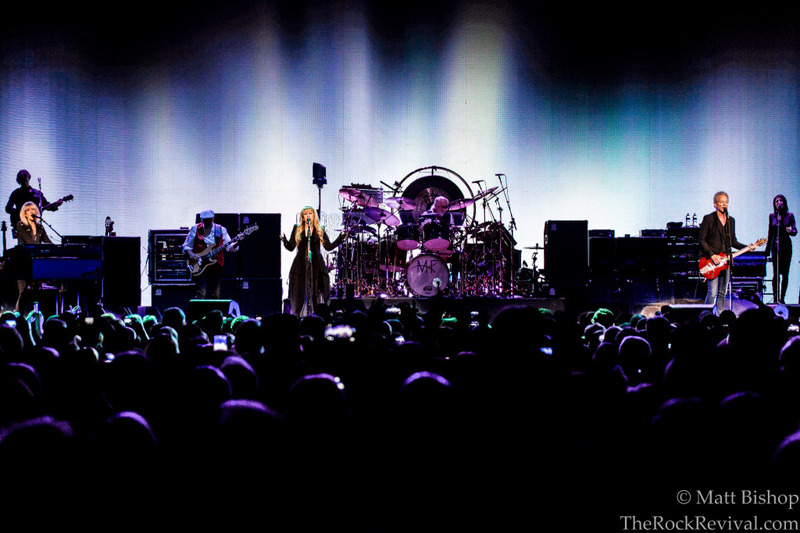 Few artists resonate as powerfully as Fleetwood Mac. Over a career that spans nearly 50 years, the band have established themselves as one of the premiere outfits in music history. This year, the band decided to add another historical landmark to their already-storied timeline with massive reunion tour across North America. This trek is the first time the band’s complete classic lineup has toured together in 16 years, and they are certainly making up for lost time. 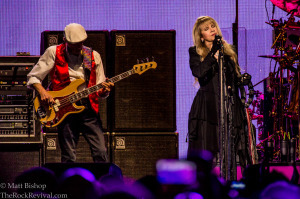 Fleetwood Mac played a career-spanning set of 24 songs that quenched the thirst of even the most die-hard fans in attendance. 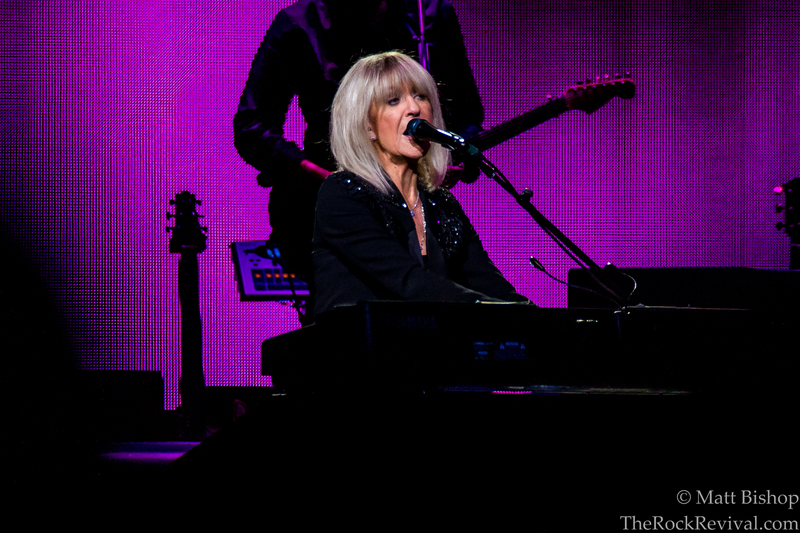 The On With The Show Tour is certainly one of the must-see shows that’s hit the road this year. When the arena went dark, a gorgeous blue-green aurora decorated the white canvas behind the stage. The band emerged under the warm, gorgeous lights and slowly eased their way into “The Chain”, one of their biggest hits. After getting things off to a running start, the band churned out hit after hit. They nearly played their seminal 1977 Rumours album in full, jamming out nine of the album’s eleven tracks including the B-Side “Silver Springs”. 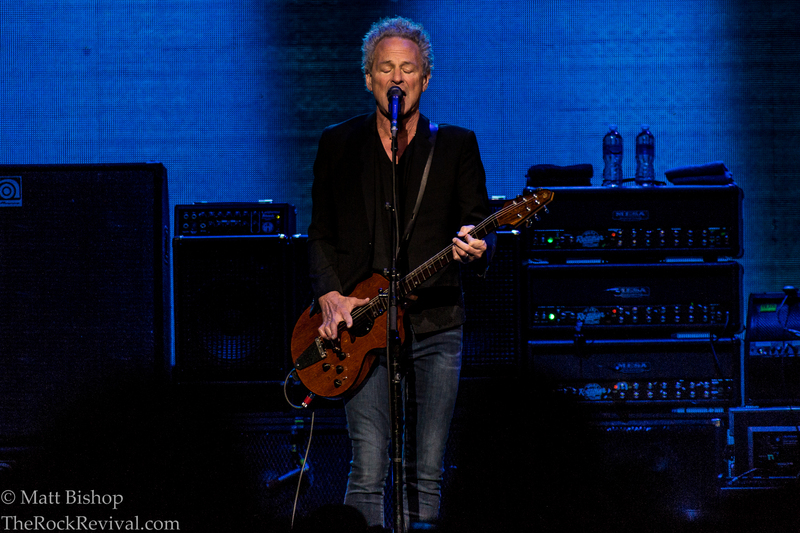 Mid-set, guitarist Lindsey Buckingham went solo for acoustic performances of “Big Love” and “Never Going Back Again”. 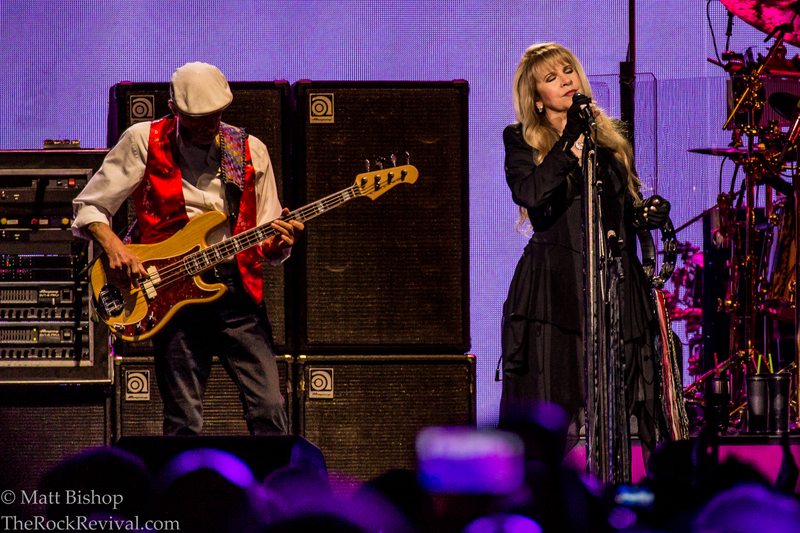 In between, he was joined by vocalist Stevie Nicks for a beautiful rendition of “Landslide”. Though there are so many to choose from, other noteworthy highlights include “Little Lies”, “World Turning”, “Tusk”, “Rhiannon”, “Dreams”, “Don’t Stop”, and the hard-rocking anthem “Go Your Own Way”. 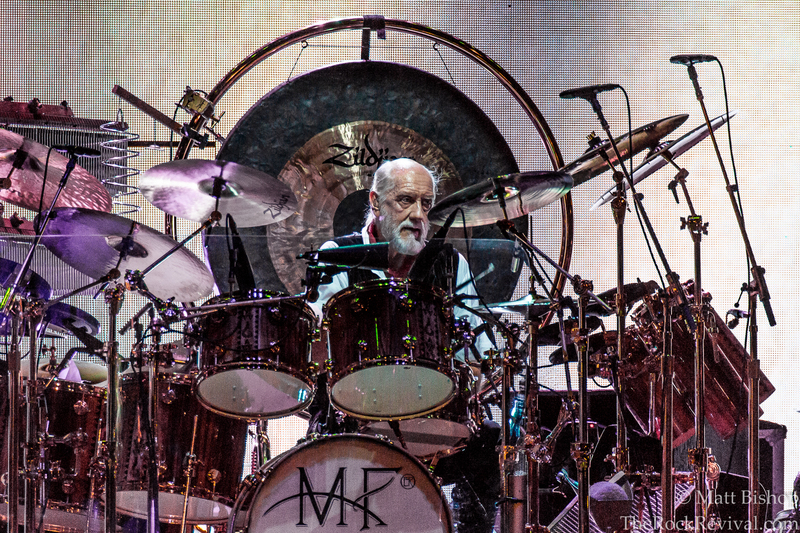 Fleetwood Mac’s On With The Show tour is everything you’d expect, everything you could want, and so much more. 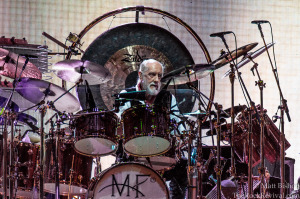 Throughout their career, Fleetwood Mac have sold an impressive 100 million albums worldwide. The band broke out with their 1975 self-titled album which hit #1 on the Billboard Top 200 and spent 37 weeks in the Top 10. Their 1977 effort, Rumours, hit #1 on the Billboard Top 200 and the UK Albums Chart. It has been certified diamond in several countries, and is widely considered one of the greatest albums of all time. In 1998, the band received the BRIT Award for Outstanding Contribution to Music and were inducted into the Rock and Roll Hall of Fame. The band’s last studio effort, 2003’s Say You Will, peaked at #3 on the Billboard Top 200 and #6 on the UK Albums Chart. The disc produced two Top 20 singles for the group. Tagged christine mcvie, classic rock, fargo, fleetwood, fleetwood mac, fleetwood mac 2014 tour, fleetwood mac philadelphia, fleetwood mac philly, fleetwood mac reunion tour, fleetwood mac rumours, fleetwood mac wells fargo center, folk, folk music, john mcvie, lindsey buckingham, mac, mick fleetwood, on with the show tour, rock music, stevie nicks, The Rock Revival, TheRockRevival.com, wells, wells fargo center.